In addition to the more well known crops such as soybeans, cotton and corn, we also grow wheat, corn seed and sorghum in smaller areas. 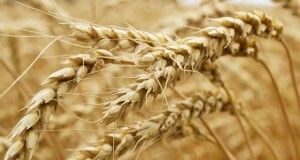 Wheat and corn seed are grown with irrigation in the state of Goiás. 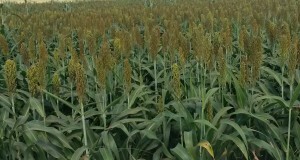 There is opportunity to expand the area of the 2nd crop with sorghum, which have a shorter cycle than that of corn for the 2nd harvest and can make up the crop rotation on farms with a higher water regime. During the 2017/18 crop 849,36 ha of wheat was harvested at Pamplona Farm (GO). In the 2017/18 crop were harvested 67,4 ha from sorghum culture in our research areas at Planeste (MA), Perdizes (MT) and Parnaíba (MA)Farms. 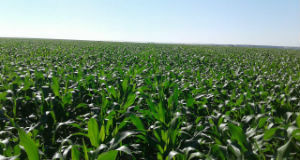 670,5 ha of corn seed were harvested in the irrigated areas of Pamplona Farm (GO). Production is destined for businesses that sell corn hybrids in the Brazilian market.